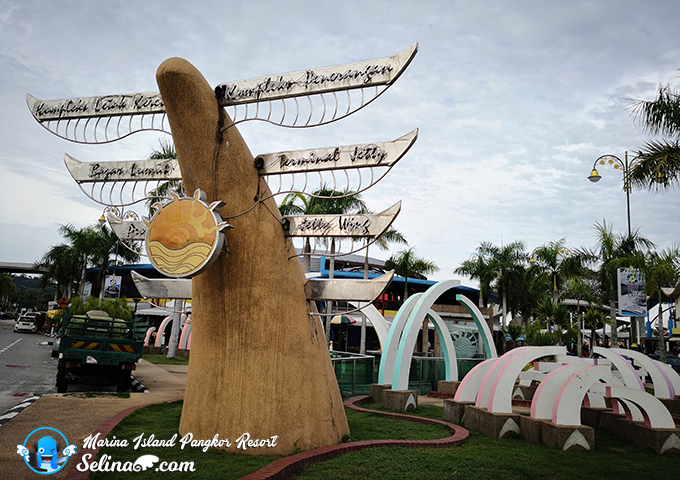 Do you know about Marina Island Pangkor, near Pangkor Island in Perak, Malaysia? 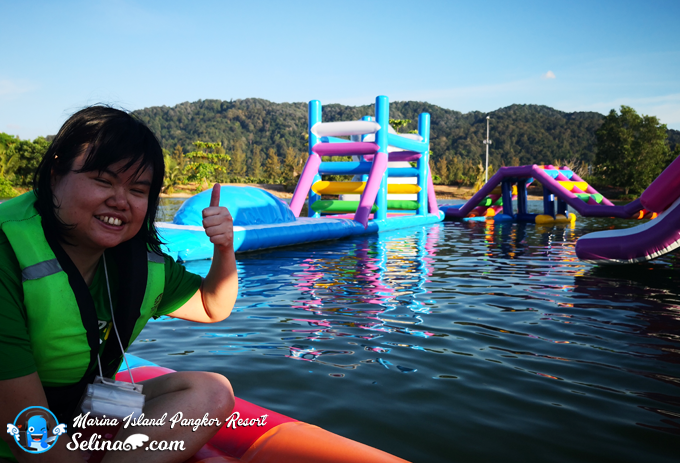 This island is man-made of a premier resort off the coast of Teluk Batik in Pulau Pangkor! Stress job? Boring to sit at home during the school holidays? Come to get the view of the beautiful sea and sky breeze make you become comfortable and enjoy the fun activities when you are in the happiness zone of island! 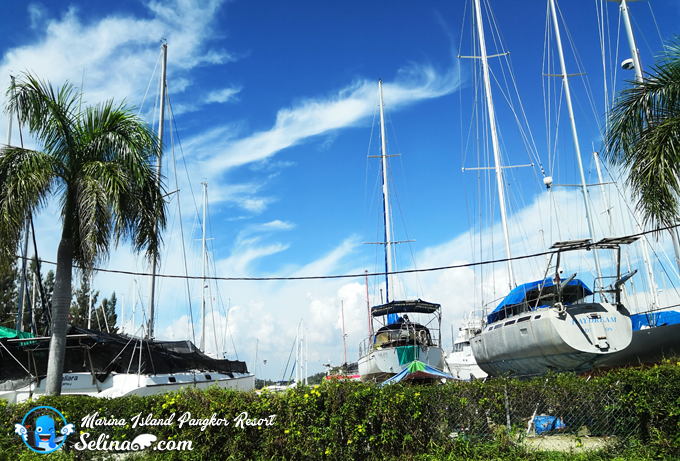 How go to Marina Island Pangkor Resort in Pangkor, Perak Malaysia? By Car, just take 3 hours to reach there via the North South Highway, exit at Batu Gajah/Gopeng toll plaza and follow the sign to Lumut. 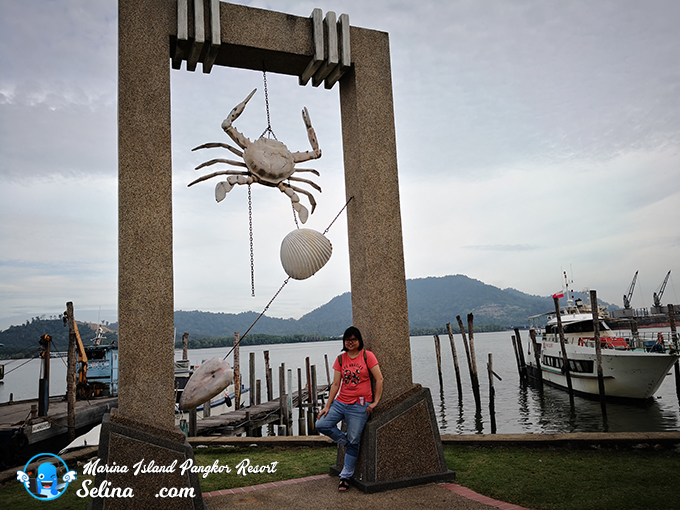 Then you follow to the Teluk Batik and reach the Marina Island Pangkor at lastly. You can use WAZE or Google Maps if you not sure. If you ask about need to take a boat ride to reach this island? No! Marina Island Pangkor have a bridge to connect the mainland. They also have ferry terminal too. I see many people went there! 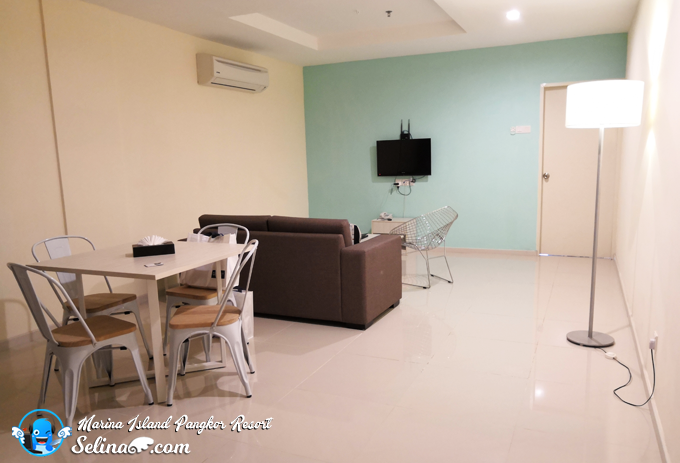 You can stay at this resort in Marina Island Pangkor, within take a ferry ride to Pangkor Island, a very famous of tourist destination in 7 minutes only, saving your time! 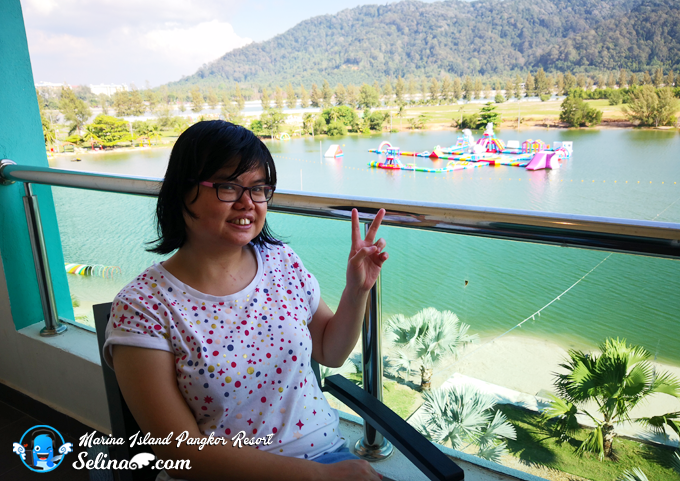 Marina Island Pangkor Resort, Great Family Vacation for the School Holidays! 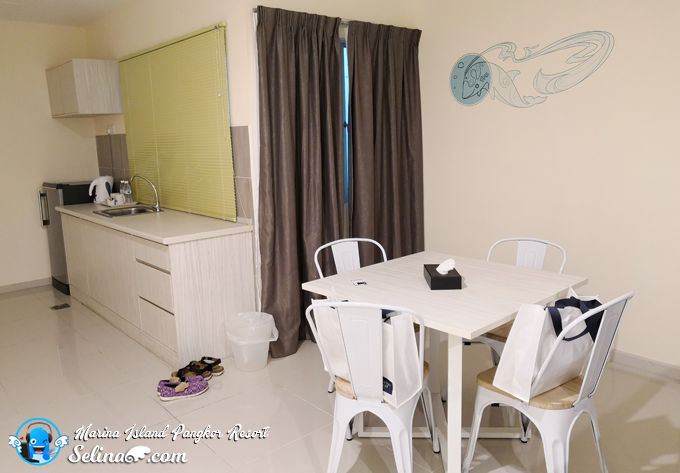 This resort is very suitable for a family who can stay in 1-3 bedrooms with the kitchen cabinet, fridge, dining table and living room! 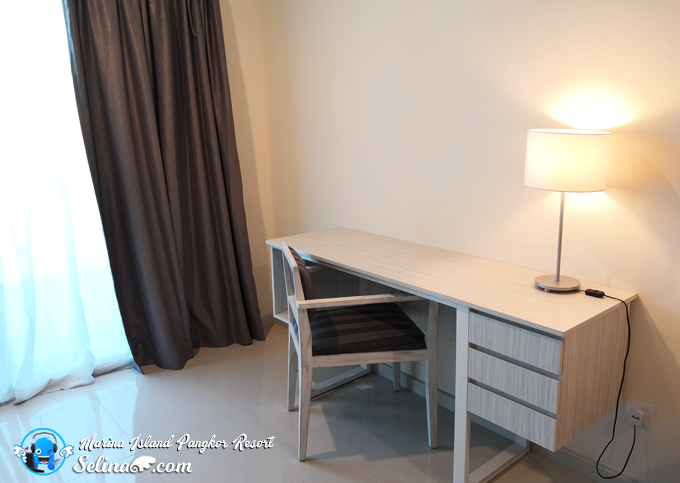 There are two main bulidings; D'Sea and D'Ocean apartments and suites. 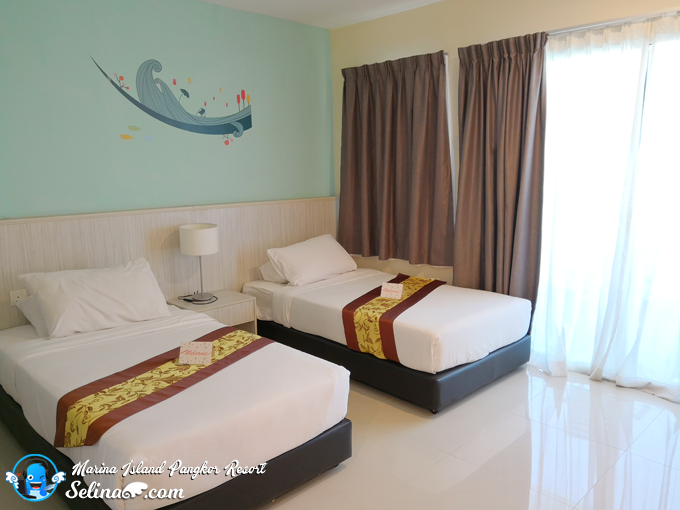 You can check for more info at https://marinaislandpangkorresort.com/. My mom and I stayed at D'Ocean resort for 3 days 2 nights. We surprised that our room hotel get a Jacuzzi at the balcony! 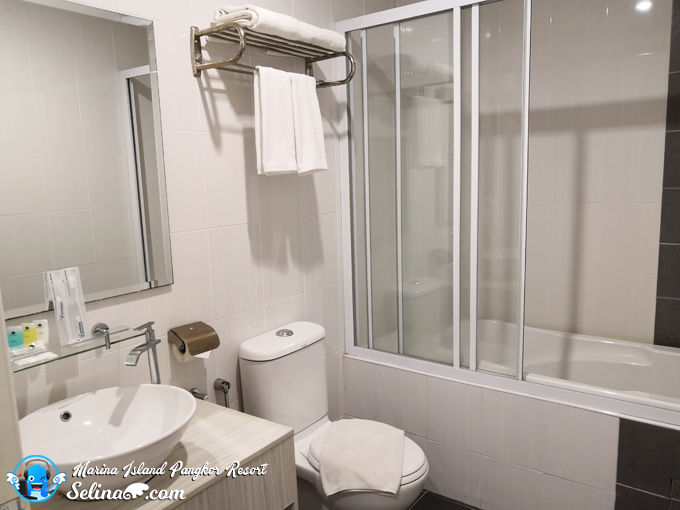 Our rooms are large and clean, but the bathroom layout looks okay only. 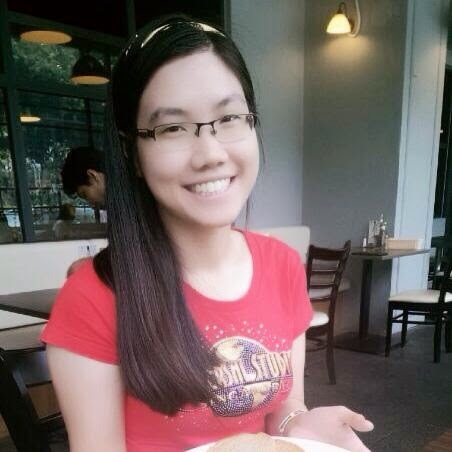 We are enjoyed to have our breakfast at the outside of Terumbu cafe & restaurant. But no TV, because they encourage you all go to enjoy the beach activities and get the fresh air at outside! Boring when you do nothing in your room? 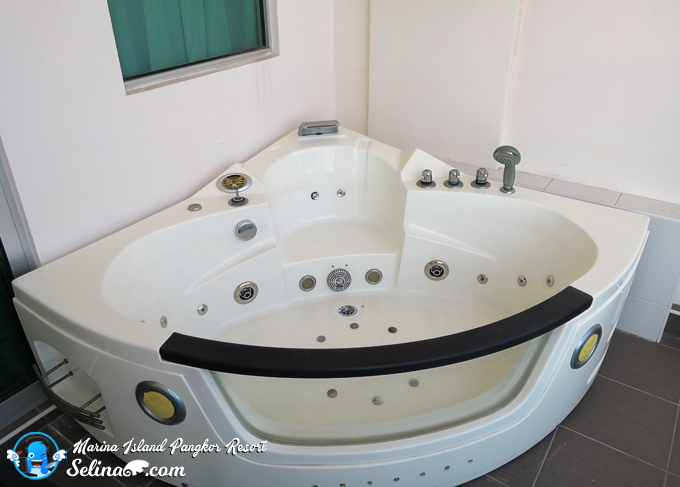 Don't worry, the rooms get Jacuzzi that you can enjoy to relax! From our view, we are facing the scenery of sea so comfortable! I can see a big of Hippo Frenzy water park and the floating stage! 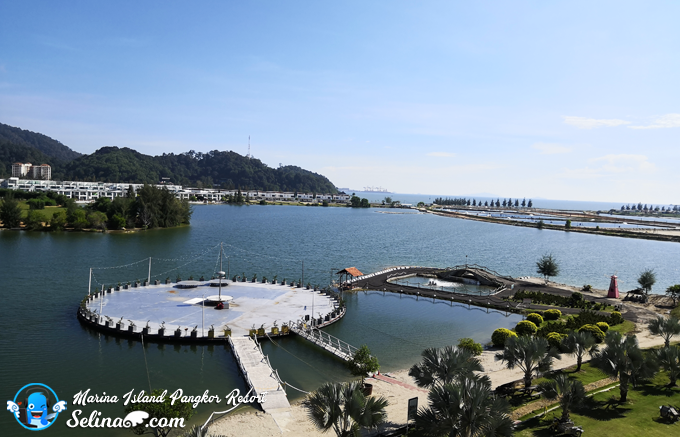 If your family love the beach and calm of relaxation place, so the Marina Island Pangkor Resort & Hotel are perfect for an ideal beach holiday. Then, you better to get your kids to join the physical activities than sit in home to play the PlayStation game or gadgets and watch TV cartoon! 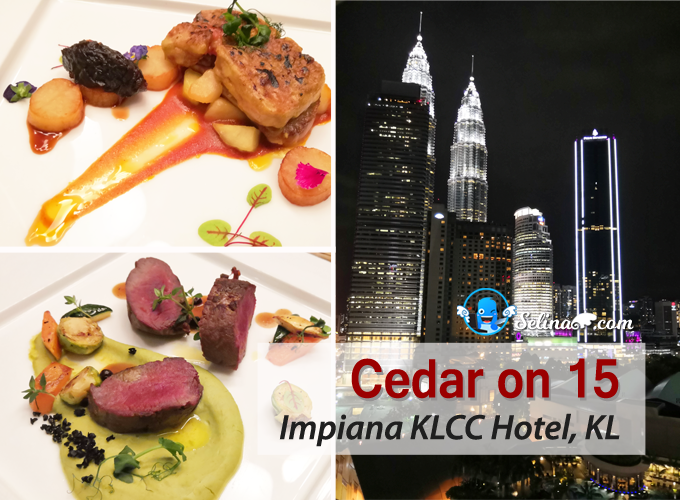 There are 8 best activities which your family and you shouldn't miss! 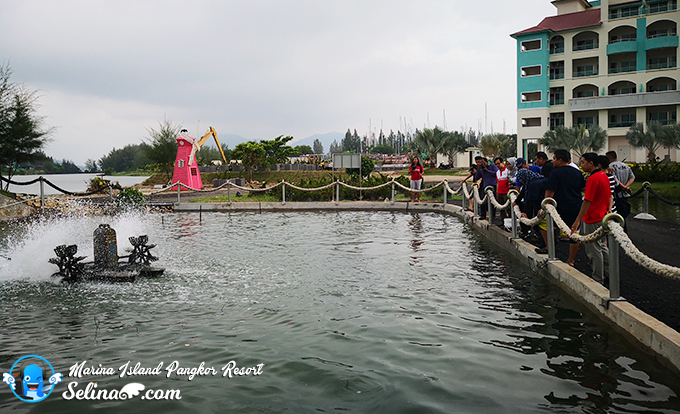 Frenzy Hippo WaterPark is high-recommendation of attraction for your family to play it! It's about a bigger than 24 badminton courts floating playland! It also get 41 obstacles of challenge while you have to face the challenges, don't worry the staffs who take care of you. 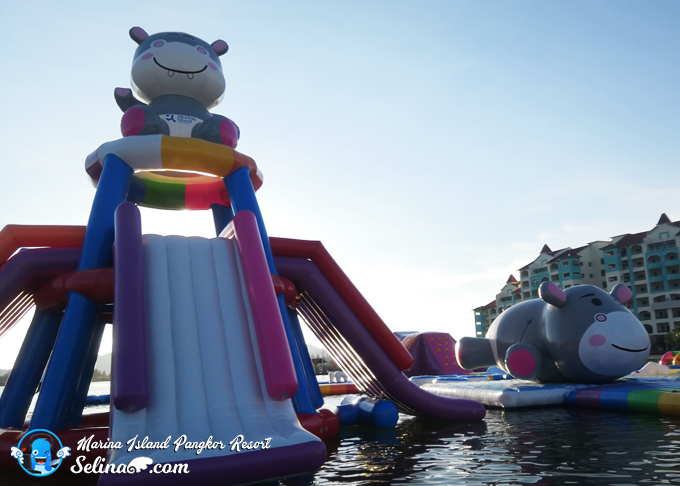 They will teach your children to learn how to do balancing on the floating playland! I also experienced it before, not easy. It need your stamina and strong physical to play, but it is very fun! 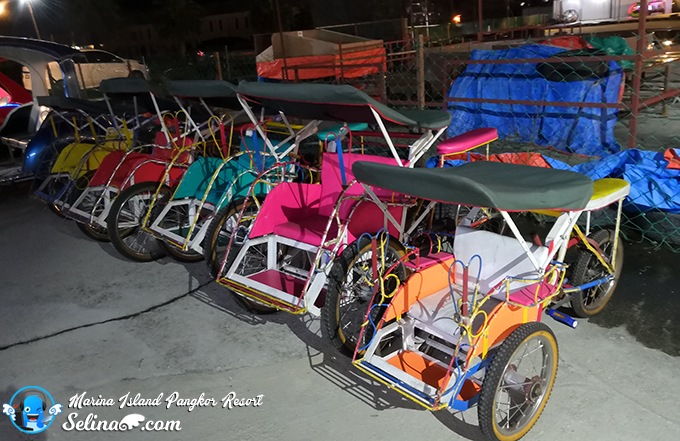 As you know, this newly open Hippo Frenzy just launched on last October 2018. It has a maximun capacity is 120 pax. They advised everyone to wear life jackets because we have to wade 30m in the water to reach it. Don't worry, there is a speed boat to carry you across if you don't know how to swim! I enjoyed to crawl or jump to meet a big Hippo so cute! Haha. 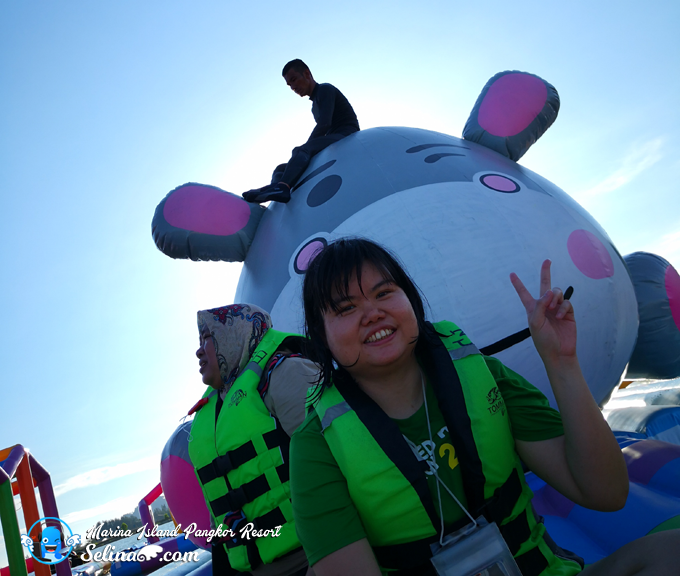 When we are tired, we decided to take a short break before we continue to play because it is very big floating waterpark make us non-stop to explore around! 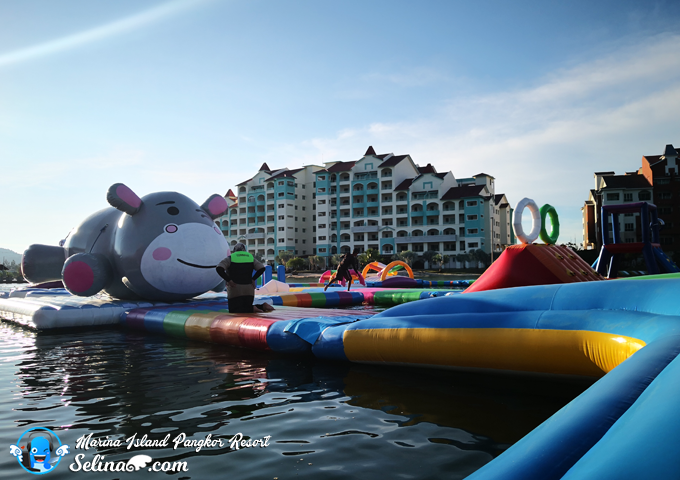 It is very good experience for a big family to become closer in a relationship-bonding when they can join the Frenzy Hippo WaterPark! 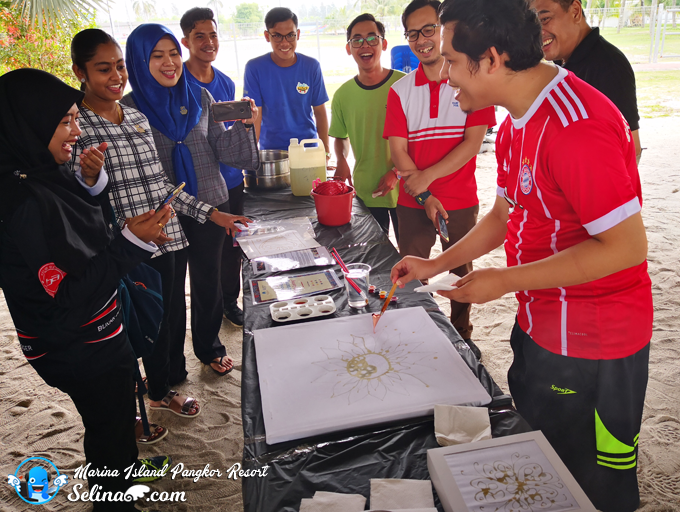 Get the opportunity to learn about the batik painting. You can get your own batik as a gift souvenirs for your friends or relatives after you participate in this workshop! 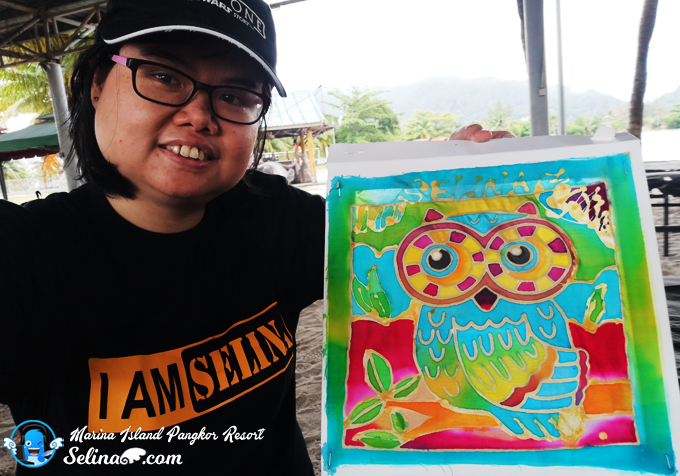 Discover your talent of painting when you learn everything with a teacher who guide you to paint on your master piece of batik painting. I love to paint so very much because long time I don't use hand-on drawing/ painting. Mostly, I do my digital of graphic design. 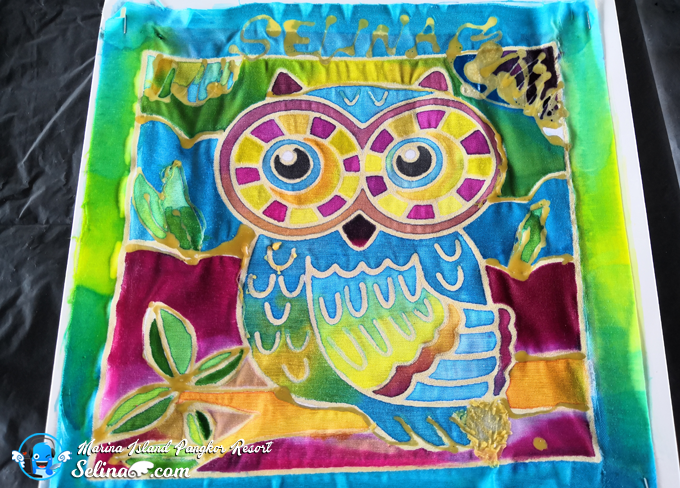 Luckily, I knew how to do batik since I was studying in Art class. 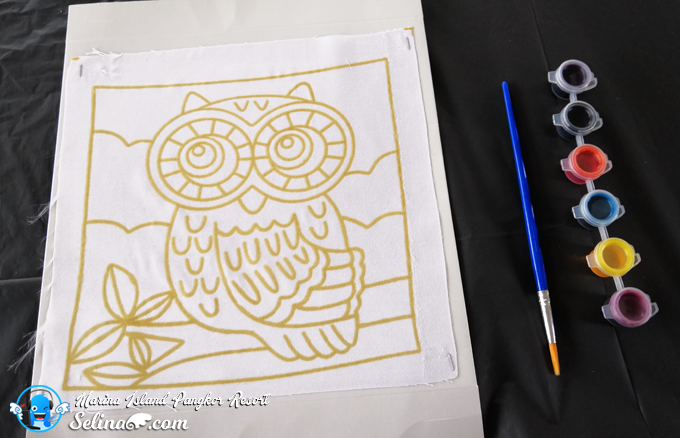 I chose my cute OWL batik painting as my face looks like a owl night? Haha. 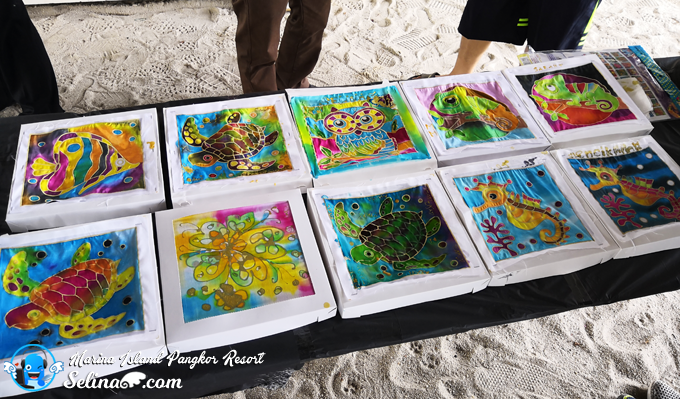 Everyone put a display of the final art of batik painting together. All are beautiful so colorfully! 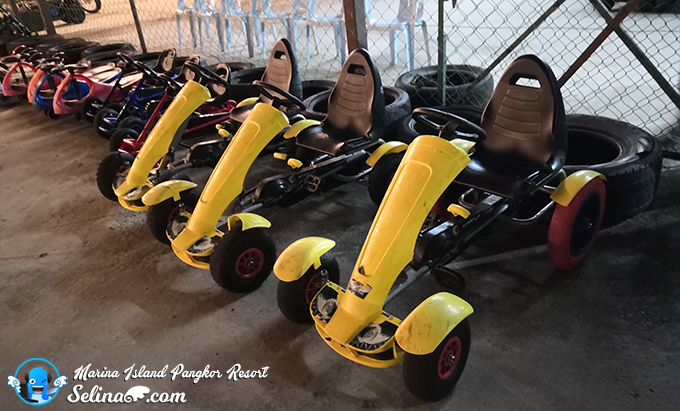 ST Family Theme Park also have many type of cars and bikes like ATV Car, Harley Bike, Drift, F1 Go Cart, Big Wheel Car, One Wheel & Two Wheel, Mini Car, Robots, and many! 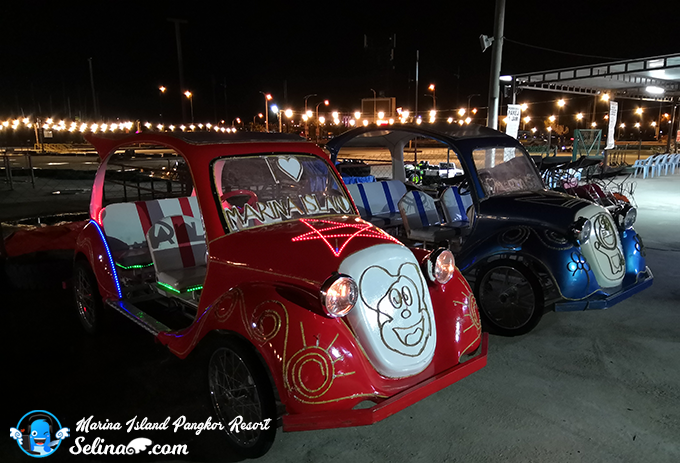 All different size of cars / bike can be available for adults or kids can play together. No worries, they also open for 24 hours. Many people come to enjoy them at evening or late night! I love to bike a car so very much! I excited to be faster when I complete with my mom Hehe. 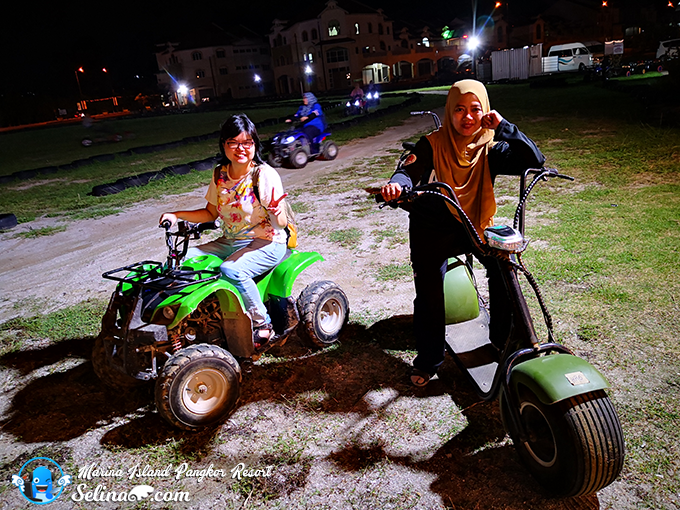 First time, my mom and I ride a Big Wheel, but it is rolling make us felt like fall down, but it just like us go back/forward in the moving of roll so non-stop. Confused! There are 10 giant Grouper fishes weighing more than 100kg! 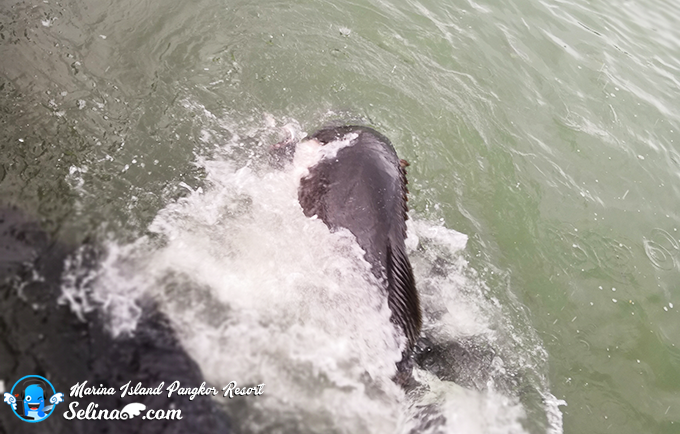 When we feed food, so suddenly grouper fishes jump to eat more! Crazy! We joined to learn about how to build a raft using raffia strings. We need to study about the survival skills. Imagine if we washed away to an island... 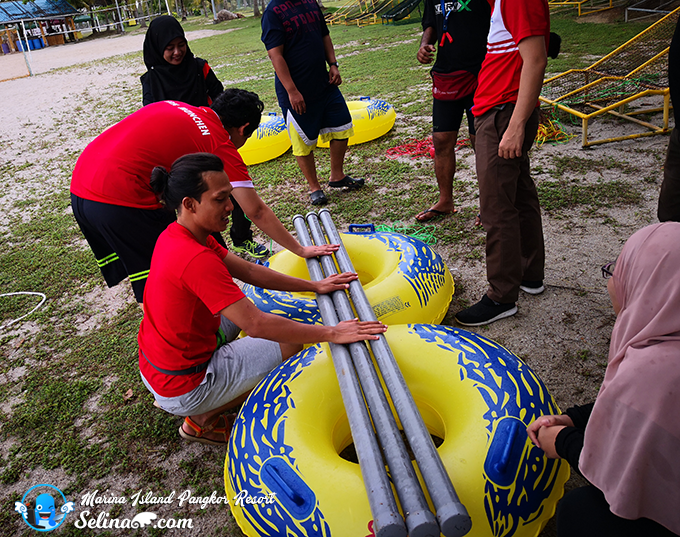 This is good team building of activity for the companies to do the teamwork. 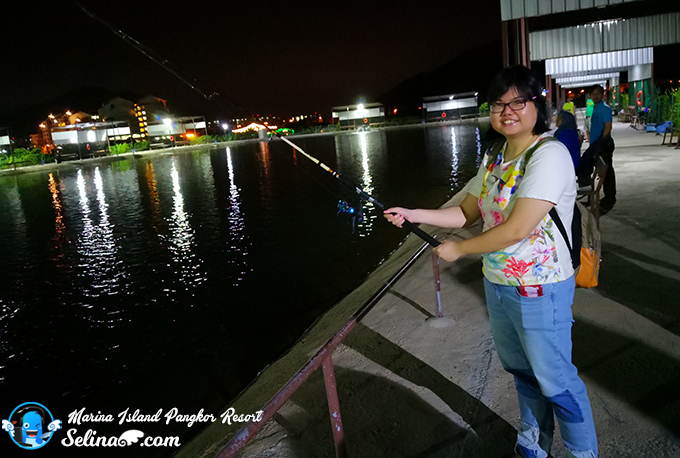 If you are beginner, they can teach you about how to use a fishing rod, so you can give your try to fish in this big pond, but you have to be patience so much. Not easy to catch. If you are fishing lover, you try it out! This fishing pond is open for 24 hours. If you like to watch the sunset from a cruise, your family can take a ride in sea around the Pangkor Island for 3 hours. Don't worry, they also prepare the snacks and drinks. 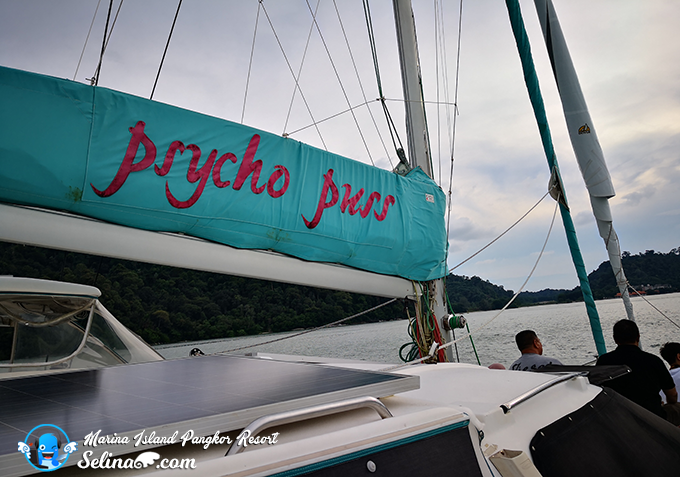 First time, we enjoyed to view a beautiful sky of landscape when we ride in a Catamaran named Psycho Puss. A captain is friendly and happy to chat-chit with us. We experienced to ride with our captain in the speed boat so faster! 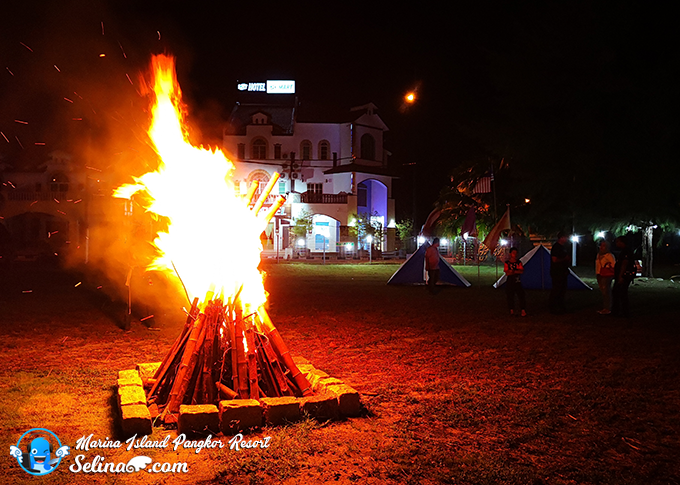 Love to watch the campfire? Or experience to sleep in the tent? Make an arrangement with the staff, so they can set up the tents near a campfire. 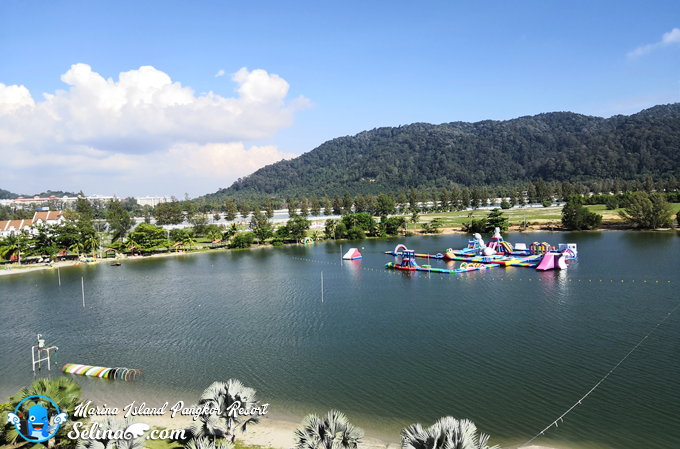 This camping is suitable for students, especially they always come to this place during their school holidays only. 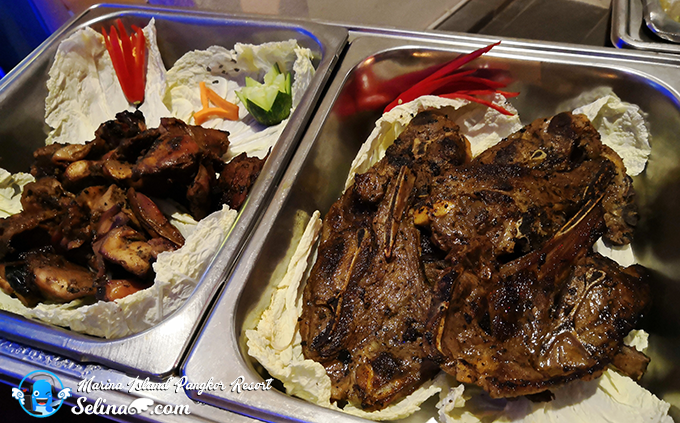 Want to eat the grilled BBQ dinner buffet? Make reservation with them first before the dinner time. 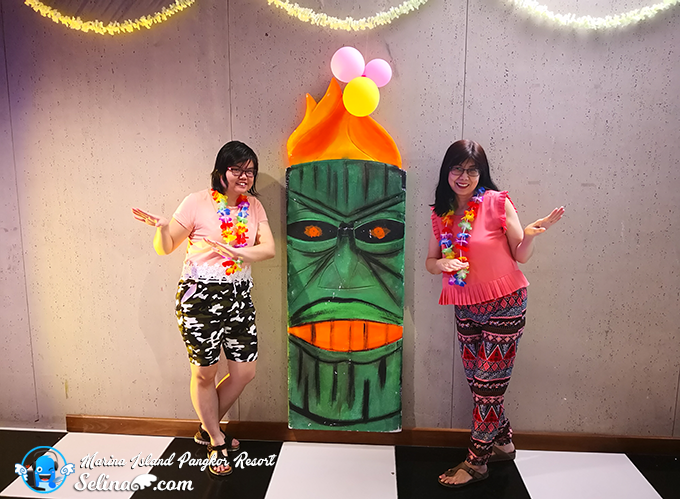 We invited to experience the DIY Hawaiian BBQ dinner buffet. The Hawaiian performance are really great! 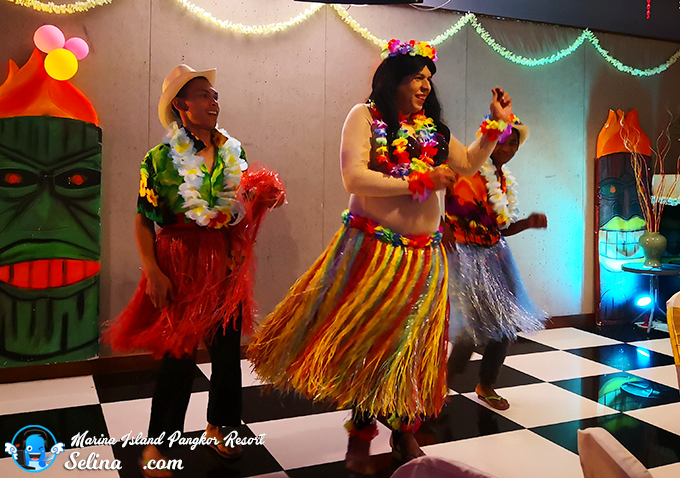 Funny, we enjoyed to dance with them together! 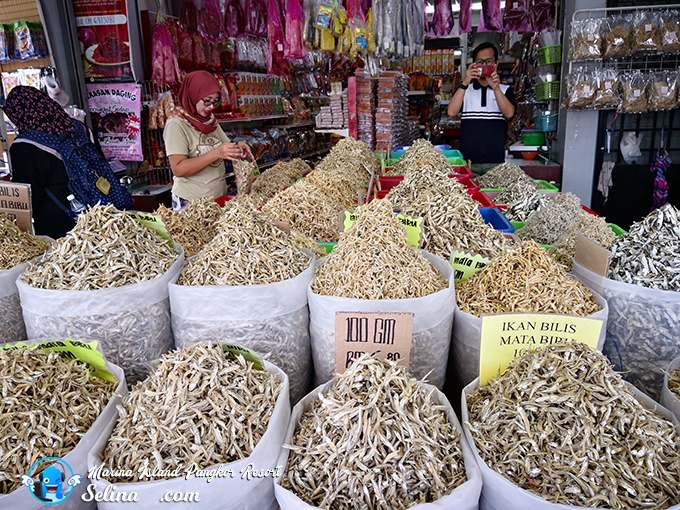 When you visit the Lumut town, you must buy the souvenirs, fried satay fish and blue eyed anchovies. 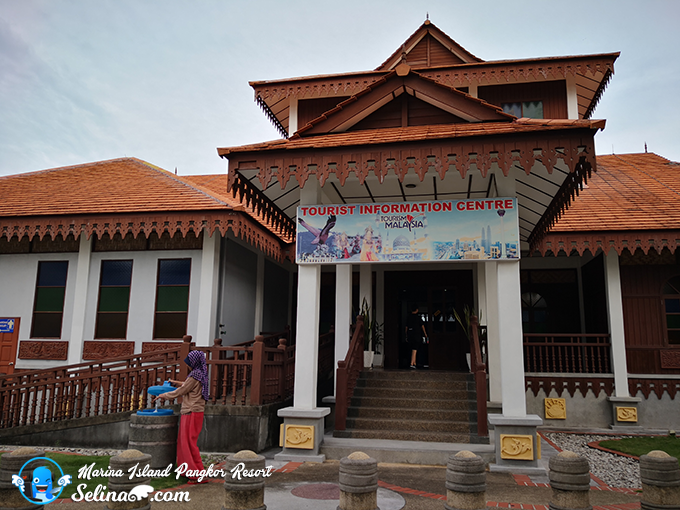 If you not sure about the history of Lumut, you can drop at the Tourism Malaysia office in Lumut. 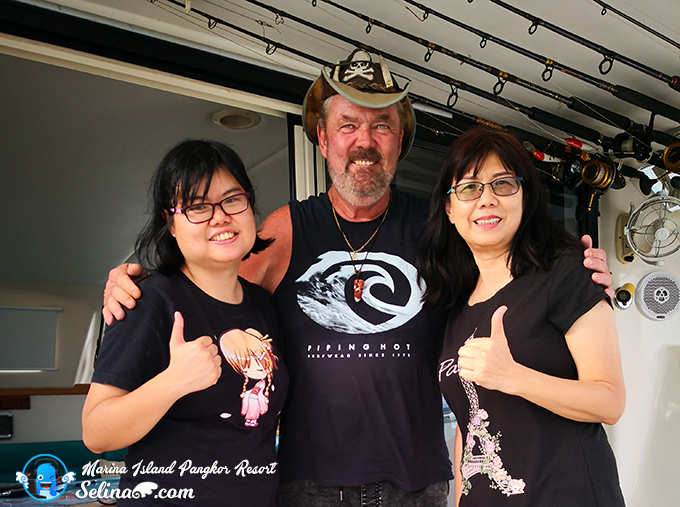 There are two long serving over 25 years of dedicated staffs who can offer the travel tips and give the information for the backpackers/ travelers. 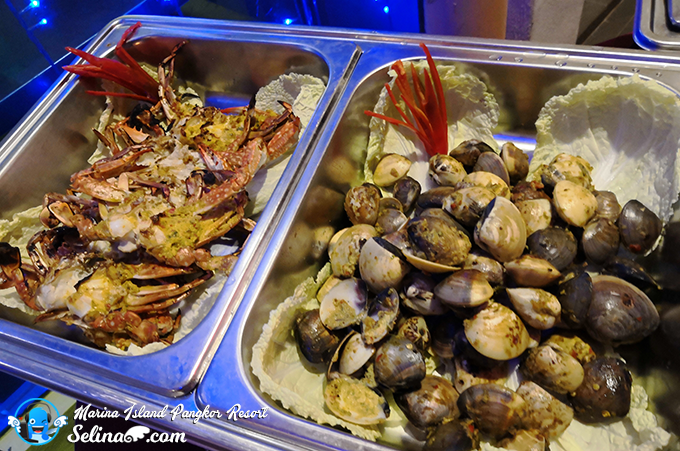 And you also can explore more at outside the Marina Island Pangkor island! 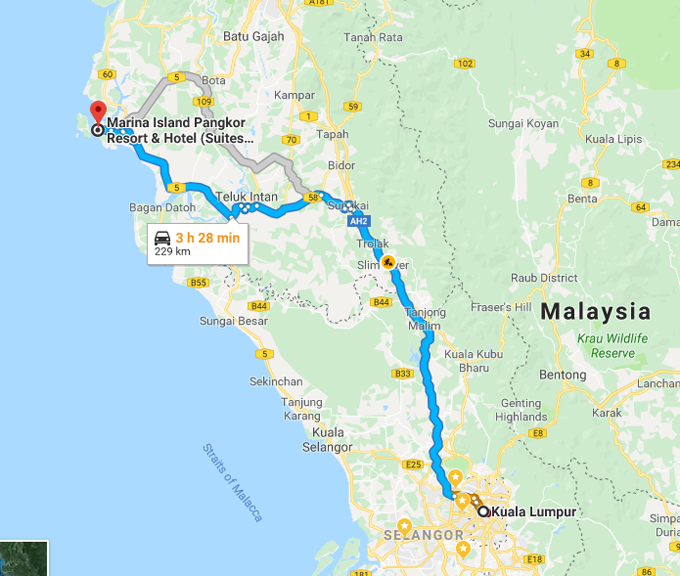 It is accessible to Pangkor Island, Sitiwan, Teluk Intan and Ipoh in Perak, Malaysia. 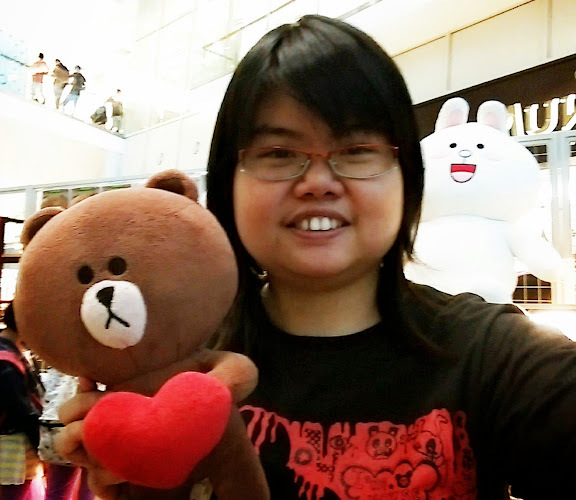 If you want to know more interesting places such as Mr Honey Bee farm, and Tua Pek Kong Temple in Pasir Panjang, head to read my other post, click link here. Enjoy energetic activities, relaxing island escapes, island hopping and incredible scenery and more, ya! That is why you all need a break from the real world to make new memories with your family & friends for school holidays! 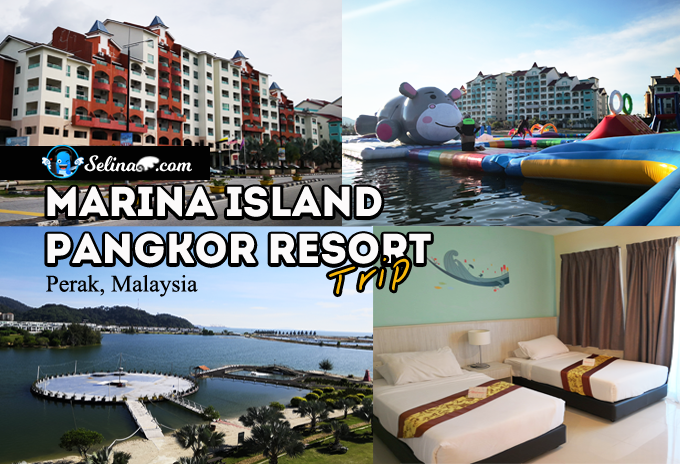 Just add the Marina Island Pangkor Resort into your list of bucket trip if you decide to get the cheap hotel. 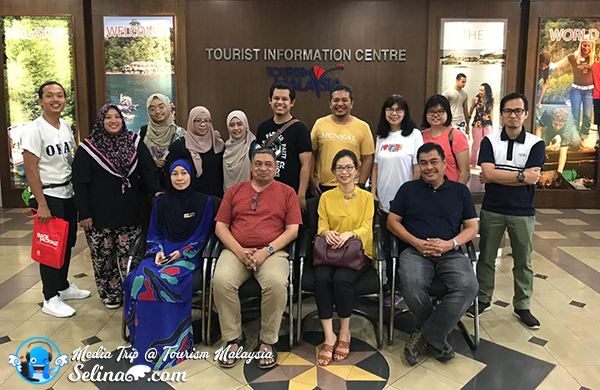 The Media trip with the Marine Island Pangkor was amazing, thanks to Marina Island Resort & Hotel and Tourism Malaysia! 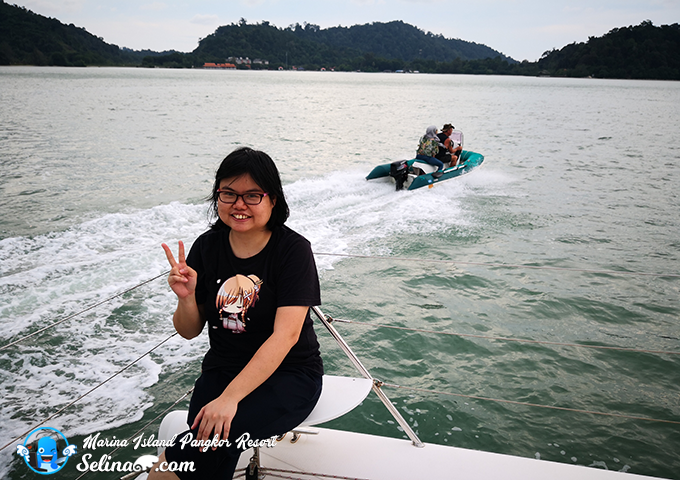 Thank you for more fun times than I ever could have imagined when my mom and I enjoyed to stay in Marine Island Pangkor for 3 days and 2 nights! Seated front row from left: Puan Norhayati, Senior Tourism Assistant, TIC Lumut, Mr. Iskandar Mirza Mohd Yusof, Director Corpotate Communication Division, Tourism Malaysia, Ms Ding Mei Looi , Group CEO, Marina Sanctuary Resort Sdn Bhd and Mr. Abdul Rauf Abu Hasan, Senior Deputy Director, Corporate Communication Division, Tourism Malaysia.